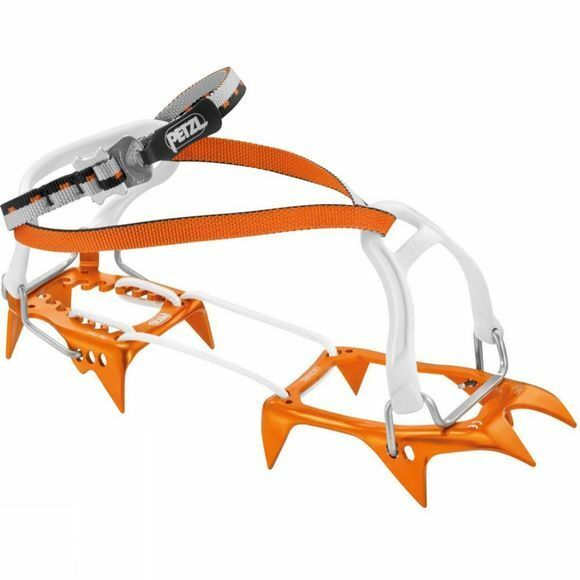 Very light due to their aluminum construction, The Leopard FL Crampon from Petzl are designed for snow approaches. The Cord-Tec flexible linking system minimizes bulk for ease of carrying. The Flex Lock binding system is very well suited for use with hiking and approach shoes, without heel or toe welts. 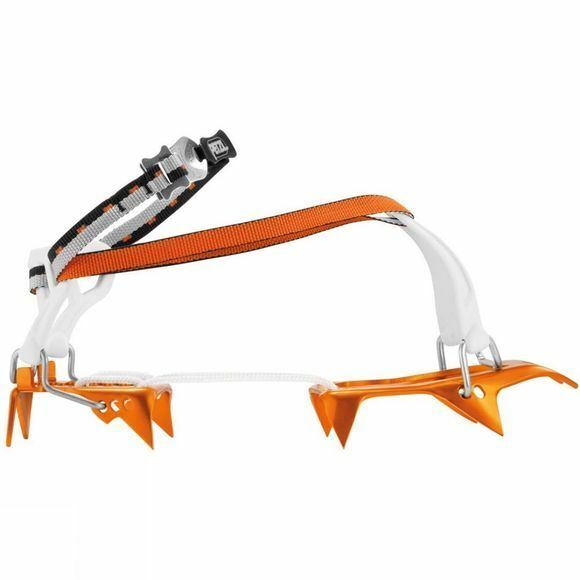 It is essential to test crampons with the footwear on which they will be used, to ensure compatibility.